M&S Parking: That unpaid parking ticket can do serious damage to your credit score. That unpaid parking ticket can do serious damage to your credit score. If you think throwing away that $35 parking ticket is no big deal, guess again. More and more cities, including New York, have turned to collection agencies to pursue outstanding fines. Of the $700 million in unpaid parking tickets, NYC has sent 1.4 million tickets (or $209 million) to collections. What does this mean for your credit score? Unfortunately, the credit scoring formula does not distinguish between collections on a parking ticket from an enormous outstanding credit card debt. Any account in collections that is reported to the credit bureaus will have the same major impact on your credit score. For someone with a score of 780, having a debt in collections on their credit report could lower their score by up to 125 points. 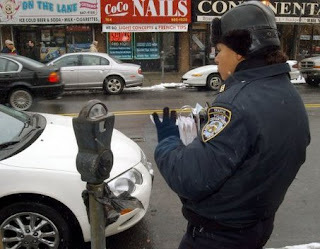 So remember, next time you're driving in the city, don't forget to pay the meter!